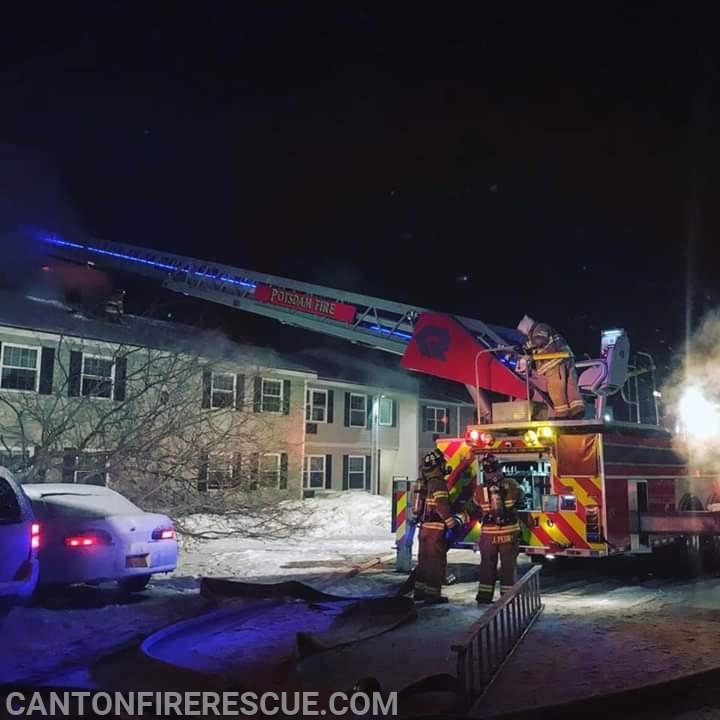 On January 26, 2019 at 0433 hours Canton Fire was dispatched to provide mutual aid to Potsdam Fire who was battling a structure fire at Lawrence Avenue Apartments building F on Debra Drive within the village. The requested manpower, Rescue 1 and Assistant Chief Aldous were enroute at 0444. While enroute to Potsdam crews checked on a one vehicle MVA on US Route 11 that had skidded off the highway, there were no injuries and a St. Lawrence County Sheriff's Deputy arrived within two minutes and crews continued to Potsdam. Once on scene Canton crews assisted in the over haul and final extinguishment of fire found within the walls. 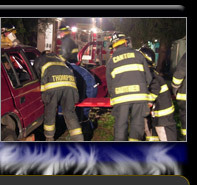 Canton Fire was released around 0620 and was back in service at 0700. 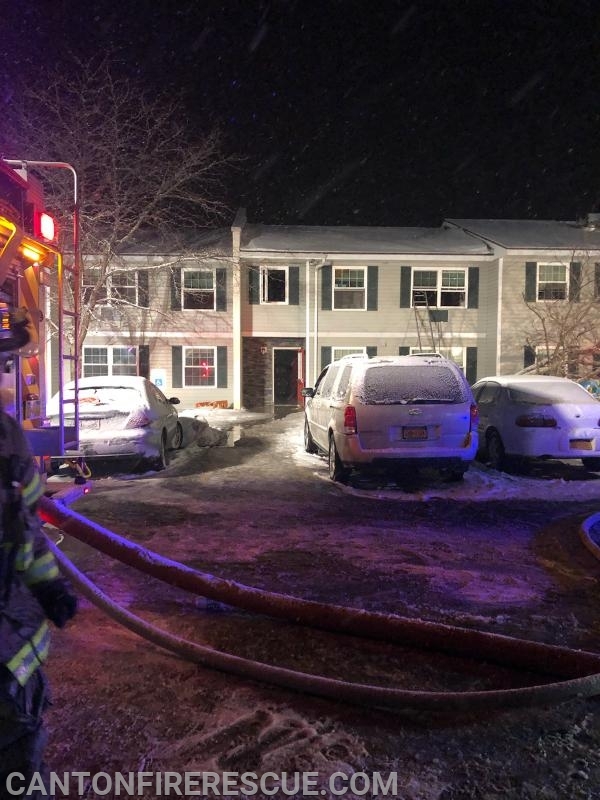 Photo courtesy of Potsdam Fire.